Friday's Ad Hoc sketchers met at Kubota Gardens, ostensibly to view the construction project of many large pieces of granite being chiseled by Parks Department workers. 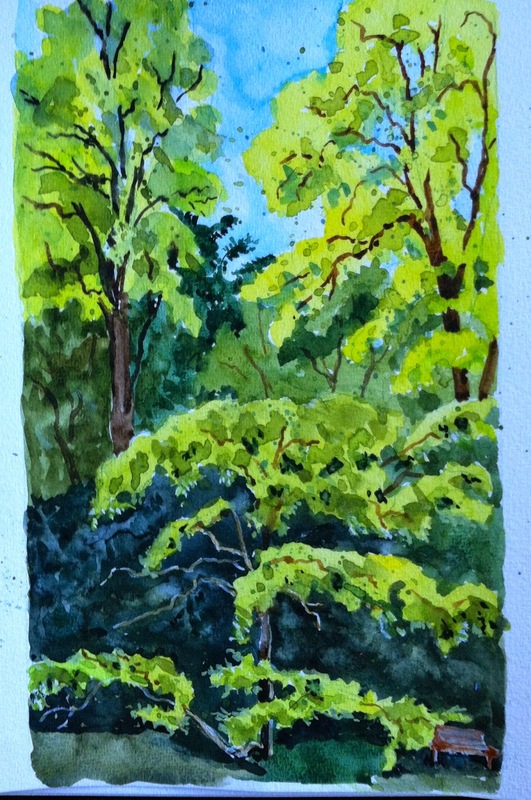 While some folks stayed right there and made excellent sketches of those workers, I did a 180 and walked over to this stunning grove of golden locust trees. I don't believe I have eve seen such huge trees. In front of the big trees was a younger tree whose limbs appeared to be dancing. Enchanting, especially with the "music" of many tapping chisels!